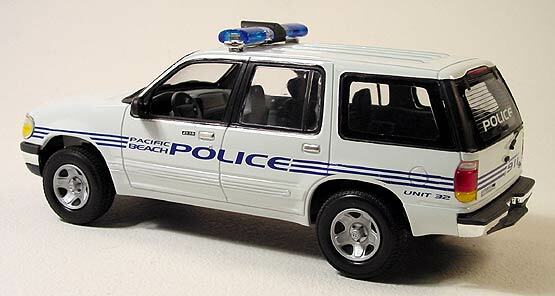 I built a series of SUV police vehicles a while back. (Don't ask me why, it's just proof of my automotive weirdness.) 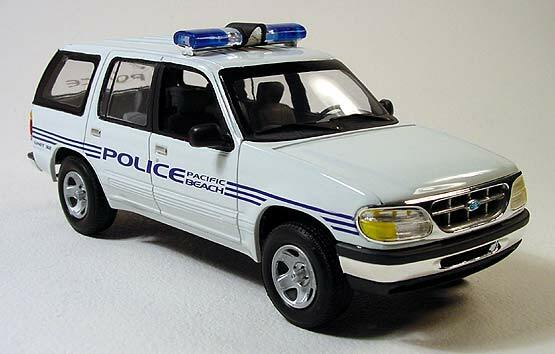 Anyways, the wheels from a AMT/Ertl Ranger Splash pickup kit were added to AMT/Ertl's '96 Ford Explorer kit to create an accurate police package vehicle. The other police equipment came from a AMT/Ertl Robocop Ford Taurus kit and the graphics are my own custom designed dry transfers.